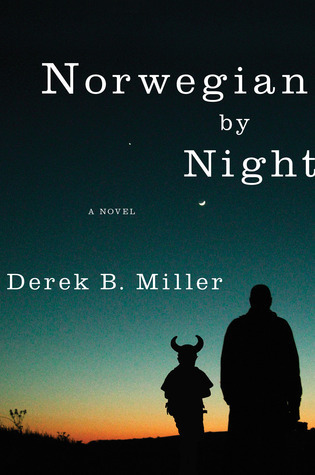 Today I'm featuring an upcoming read, Norwegian by Night by Derek B. Miller. The excerpt comes from the Kindle version, borrowed from the library. It is summer and luminous. Sheldon Horowitz sits on a folding director's chair, high above the picnic and out of reach of the food, in a shaded enclave in Oslo's Frogner Park. There is a half-eaten karbonade sandwich that he doesn't like on the paper plate cradled in his lap. With his right index finger, he's playing with the condensation on a bottle of beer that he started to drink but lost interest in some time ago. His feet twitch back and forth like a schoolboy's, but they twitch slower now at the age of eighty-two. They achieve a smaller arc. Sheldon will not admit it to Rhea and Lars--never, of course not--but he can't help wondering what he's doing here and what he's going to do about it before the wonderment passes. This debut novel has been getting an impressive amount of buzz. The description of the scene and the inner thoughts of the narrator intrigue me and draw me into the story.